NEW PRODUCT – Super Bright White 5mm LED (25 pack) « Adafruit Industries – Makers, hackers, artists, designers and engineers! 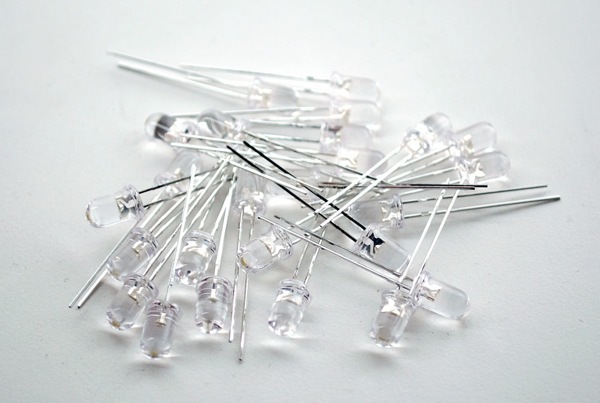 NEW PRODUCT – Super Bright White 5mm LED (25 pack). Need some really bright LEDs? 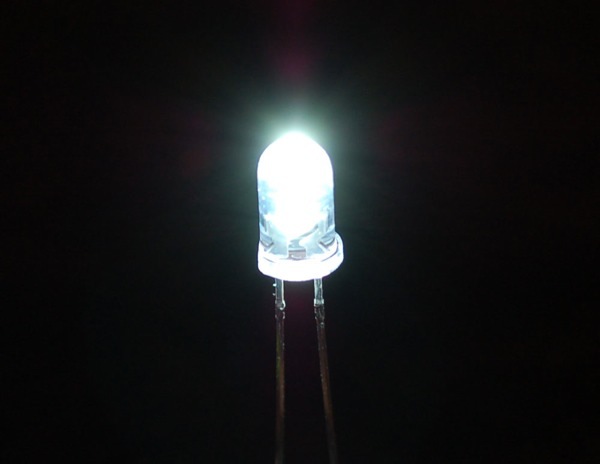 We are big fans of these clear white LEDs, in fact we use them exclusively in our kits. They are very bright and have about 25 degree LED beam so they’re good for illumination, head lamps, spotlights, etc. They go easily into a breadboard and will add that extra zing to your project. White LED datasheet. If you need some help using LEDs, please read our “Introduction to using LEDs” tutorial for any electronics project.